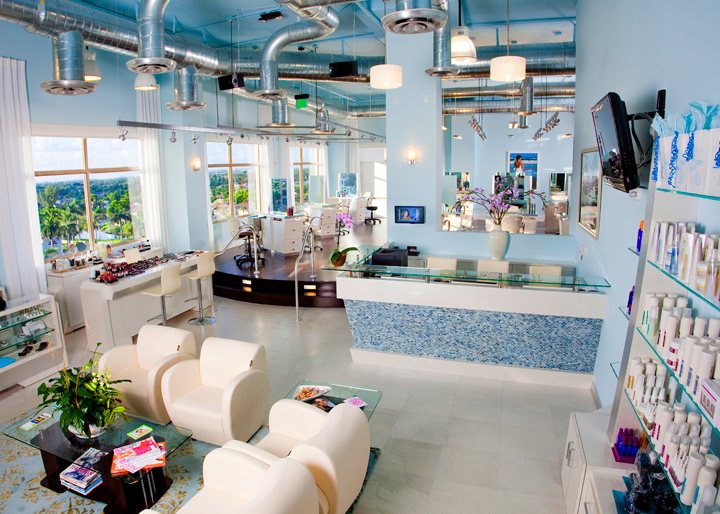 If you’re looking for the best salon in Boca Raton, FL, then you have come to the right place. As soon as you walk through the door at Salon Sora you will immediately feel a calm and positive energy. Come in and relax with a complimentary glass of wine or champagne. Prepare yourself for pampering, superior customer service and a unique beauty experience. We take great pride in our five star rated beauty services. Our expansive space with its floor to ceiling windows gives you a sense of openness not normally found in a salon. This combined with the warmth of the staff and their love for what they do assures you a level of unparalleled work. Feel free to explore and stroll around. Visit the boutique for some of the most unique pieces of jewelry, some of which are handmade and one of a kind. Stop at the makeup counter for a quick consultation or to find out what the newest colors trends are. Or take advantage of a complimentary skin analysis with our renowned aesthetician and discover how much more radiant your skin can look and feel. Above all, be sure to relax. Unplug from the hectic pace of your world and step into the calmness that is Salon Sora. Because from head to toe we’ve got you covered.